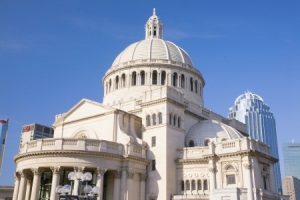 A major part of Christian Science is connected with health and well being. Their belief in the Gospel has formed a concrete basis for their belief that those who have lost their way, are sick and broken hearted can be healed through prayer and Christian Healers. Furthermore a complete belief in God and his love can heal all. Christian Science derived from passages from the Christian Scriptures of the New Testament sharing belief that prayer has the power to heal, redeem and restore people. Heal being of such an importance in this article as we examine how religions and people’s belief cause them to re-frame from medical care that is provided by medical practitioners instead healing is sought after through prayer and Christian Science Practitioners. The Religion has their own based practitioners that are used for healing, curing and redeeming people. Christian Practitioners through prayer believe that people including children can be healed if they have a true belief in God. The treatment does not involve any types of medication or medical instruments and sometimes they are not just concerned with medical issues but those of relationship and financial difficulties. Students of Christian Science are able to prayer for others but only those practitioners listed are considered as being healers. Mary Baker Eddy the founder of Christian Science has always sought to understand human suffering, even before the Religion was discovered she had always wanted to explore suffering and healing. The basis of the Religion came about when she suffered a critical injury during the year 1886 and turned solely to God to be healed, it was through studying the Bible and the reading of God’s healing powers that set a foundation for Christian Science. It is fair to say that the beliefs and religious teaching of Christian Science is based upon the powers God has to transform and heal people and not just those that suffer illnesses but to redeem souls that are in need. Essentially Christian Science follows the literal word of the Bible believing that it should be used to guide a person through their entire life. Their belief is that there is only one God, His Son and the Holy Spirit, the Resurrection of Christ which emphasizes eternal life and that a person can be healed and redeemed through Christ, Truth, Life and Love and that this is demonstrated through the healing of the sick, sinners and the overcoming of death in the Bible. Can such beliefs not only be detrimental to a person’s health but also how medical professionals conduct their work in as much as not being able to assist a patient fully as such beliefs only allow a certain amount of interference concerning the recovery of a patient. If you feel you feel that you have been mistreated in anyway by a practitioner medical or ‘religious’ then why not take advice from a medical negligence solicitor who could help you to pursue a case. Those that are true believers of Christian Science believe that illnesses and disorders can be cured through the act of prayer there are exceptions in cases of broken bones but once these are set any other healing methods should be done so through prayer. Even in cases of children the first point of call when is a child is ill is to seek medical treatment but those believers of Christian Science reframe from such an activity and use prayer as an alternative. Testimonies of people who have been cured form prayer have been documented and are of great comfort to the believers. And there are also numerous amounts of cases where people have not been healed or cured just through the act of prayer some dying in pain which could have been prevented if they had allowed doctors to intervene. Children have died from curable childhood infections as a consequence of not seeking medical attention something which every child has a right to receive. Is medical attention really going against the work of God? Has God not gifted those who practice medicine with the ability to help those in need? Would other religious people believe that God shows his powers and love in all different ways not just prayer and that by looking after our bodies and well being and protecting the gift of life is also important? The Christian Science Religion has their own board of education and those that want to become a practitioner must provide confirmation that they have successfully healed three people and have had teaching from an accredited Christian Science Practitioner. It is forbidden for believers of the Christian Science to receive treatment from a practitioner of the faith and medical treatment outside the Religion. Patients of Christian Science are obliged to pay for the treatment they receive. Children as well as adults who do not receive medical treatment for illnesses can suffer greatly, if you feel you have been let down by a practitioners why not seek advice from a medical negligence practitioner. In some states in America including Washington Christian Science dually accredited Practitioners are considered medical professionals and under their legislation they consider that if a person turns down medical treatment for themselves or their children but are seeking medical care from a Christian Scientist practitioner then they are not being deprived of medical care and are well within their rights under the constitution. Does this not beg the question then that Christian Practitioners can be held just as responsible for medical neglect as medical professionals when patients do not receive appropriate treatment when it is needed? In today’s society there seems to be an increase in the amount of medical negligence cases which are being perused. The rate of medical negligence and clinical negligence seems to be rising year on year and more and more people are being let down by the health service. People all around the world are seeking medical negligence solicitors to help them prove their case. Those people who are believers of Christian Science can often hide behind such legislation when refusing to seek and accept medical care for themselves, their families and those of a vulnerable state and are shockingly exempt from civil and criminal liability. When patients becomes victims of medical negligence, receiving treatment and medication that is of a poor standard and not at the level in which each individual has the right to and therefore as a direct consequence the patient is injured or further ill health is caused then they have a right to pursue a case for medical neglect. Medical professionals have a duty of care to provide patients with the correct standard of care if such medical treatment falls below the recommended level then it can cause great harm to the health of patients and therefore should never be condoned. Although medical negligence has taken place probably since medical care began it became quite a controversial issue during the 1970’s. 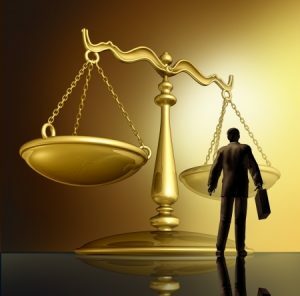 Medical practitioners and insurance companies complained of how many suits were being filed and how the compensation amounts where increasing year on year, however critics to this including medical negligence solicitors argued that victims of medical negligence require such funds in order to be able to live appropriately and some injuries are so significant that the victims quality of life is reduced and such compensation is compulsory so that the victim can live a comfortable life. Believers of Christian Science totally restrain from any medical treatment regardless of their injury or illness and even more shocking children of the faith who become ill cannot receive any medical treatment. Their alternative is to seek a Christian Science practitioner who will pray with the patient who is ill so that they will be cured and recovered. There are many cases that have proven that this method is not always effective and many people who have suffered serious illnesses or injury have gone onto to die. Even when a child is suffering from lifelong illnesses such as diabetes they are still not allowed to receive medical treatment or medication. Many parents who are believers of Christian Science have allowed their children to suffer greatly and in pain because they have not sought medical treatment when it has been clearly needed and many unnecessary deaths have occurred so that their beliefs can be upheld. Many parents have been prosecuted due to child abuse and neglect but later had their conviction overturned in states of America where Christian Scientists are protected by the law when not seeking medical care and attention as they have their own practitioners. If medical professionals do not always provide a service and a standard that is expected from them in regards to their duty of care and they go on to breach their code of conduct then they are held responsible for their actions and very often the victim will pursue a case for medical negligence, should this rule not also apply for those practitioners who work as religious practitioners? Should Christian Science practitioners not be held accountable when they fail to give their patients adequate treatment? Medical negligence solicitors are there to help those that want to pursue a case for medical neglect and can help largely when trying to build a valid case. Such dually accredited practitioners take on the role of a medical doctor in as much as they claim they can help in away a doctor can through prayer rather than medical treatment, they require payment for their service so is it not fair that they are treated the same as a medical professional who mistreat their patients. There is a case when a little boy who had Christian Scientific believers for parents suddenly was suffering from an illness which worried his parents that they sought out a Christian Science practitioner, the practitioner could not help the boy so they went to a second until finally they took the boy to a hospital where they gave permission for medical intervention. Sadly it was too late and the boy died from meningitis. The boy’s parents left the religion and began a legal suit in order to sue both the Church itself and the two practitioners which failed to help their son. The Church along with the practitioners was charged with neglect and the fact that they had been misrepresentation. The case never made it to trial but the question did arise that the practitioners could have been responsible for medical negligence. This article gives a lot to think about and digest and what is most worrying of all is would God truly want any individual to remain in pain, be ill or actually die when medical intervention can cure this or are these teachings the work of something other than religion. This entry was posted in Uncategorized and tagged medical negligence solicitors on June 10, 2016 by admin.